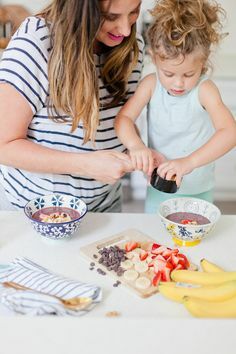 Smoothie bowls are all the rage, and there’s a good reason… they’re filling, nutrient filled, delicious and just plain fun to eat, without being plain at all! This pineapple smoothie bowl is no exception. 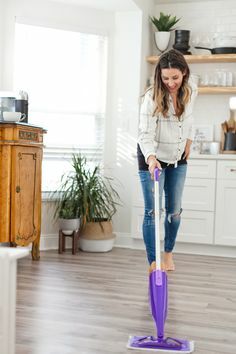 While I pretty much ate up everything I could when pregnant, or at least it seemed like it, I forgot about the hunger that’s associated with nursing a newborn! I thought my appetite would slow down a little, when in fact this past week I’m just #alwayshungry. And yes, I’m using the hasthtag for drama, because I feel quite dramatic about it. So this week I was craving a smoothie bowl, and we also had a pineapple on the counter that desperately needed to be cut and used. A pineapple smoothie it was! 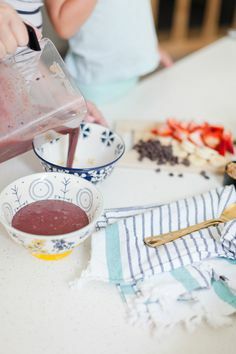 A strawberry, banana, pineapple smoothie that served as something to fill me up for awhile, give a boost of nutrition and curb some cravings in helping to lose a little baby weight. 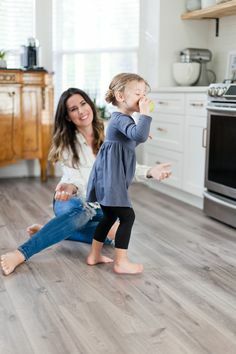 It delivered all of those things… plus served as a meal for my kiddos too, because as soon as I get in the kitchen they all are in there wanting whatever it is that’s being made. I guess that’s a good thing though right?! A nutritious and delicious pineapple smoothie bowl! We made a rather large batch to feed us all, but really there doesn’t need to be a whole lot of measuring to a smoothie bowl. Just toss ingredients in and start blending, adding as needed for taste and desired thickness. Throw all ingredients in a blender and blend until smooth! 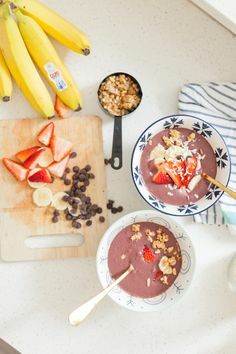 To create a smoothie bowl, the best consistency is similar to soft serve ice cream, so adding frozen ingredients, ice, oats, chia seeds, etc will help to thicken your smoothie as needed. 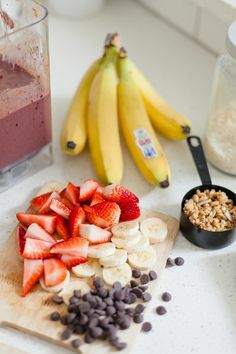 Another great option with smoothie bowls is that they are totally customizable, between the smoothie itself and the toppings, there are so many options! I based this recipe on what I had in the fridge and freezer. You can mix up the flavors by changing the liquid used, coconut water, almond milk, coconut milk, rice milk, juice… these are all good options. For toppings, mix it up with cut up fresh fruit, nuts, granola, raisins, chia seeds, chocolate chips, coconut flakes, and more! You can also take the flavor profile of the smoothie itself to more of a dessert with a chocolate base. For a chocolate flavor, you can use unsweetened cacao, chocolate protein, chocolate almond milk, etc, and I love mixing in almond or peanut butter and banana to my chocolate! Really the possibilities are almost endless, and I’ve got so much inspiration pinned on my Smoothie board if you want to check it out! What about you? Have you tried smoothie bowls like this pineapple smoothie bowl? What is your favorite combination of taste and flavors?